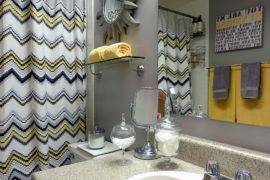 If there is one color combination that offers the perfect blend of vivacious energy and contemporary elegance, it is yellow and gray. 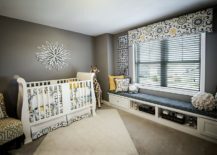 Whether it is in dashing dining rooms or beautiful bedrooms, this is a color duo that couples the timeless radiance of yellow with the trendy presence of gray. 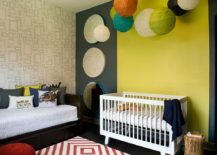 Offering a compromise between bright cheerfulness and modern sophistication, this happening color combo works amazingly well in the nursery as well. 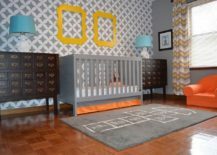 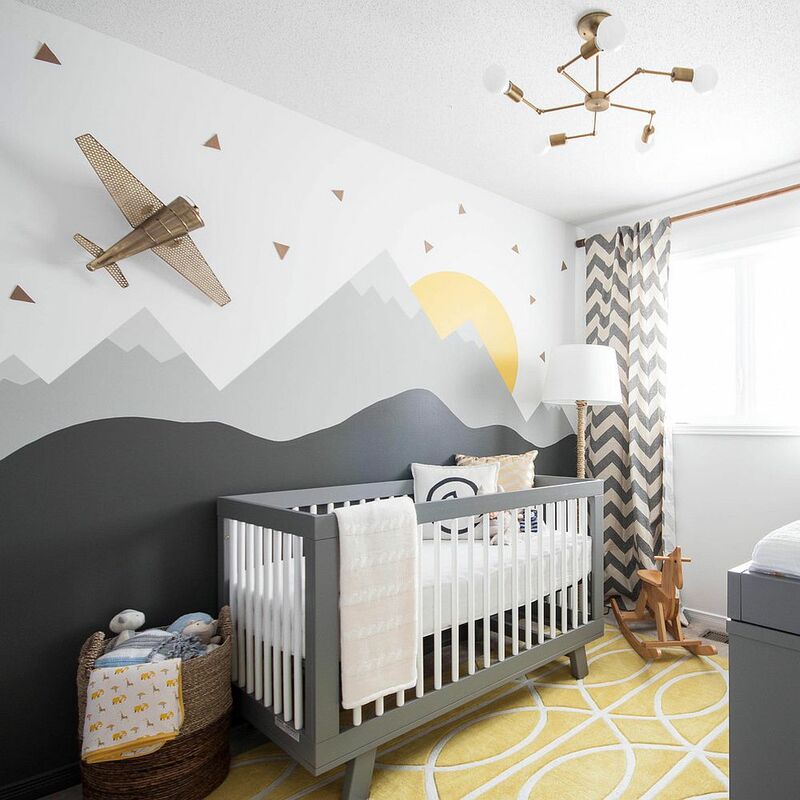 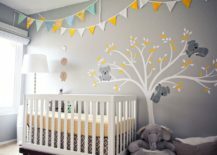 The best part about it is that you can easily fashion a gender neutral space with yellow and gray that can later be turned into a baby boy or girls’ nursery with the addition of a third hue. 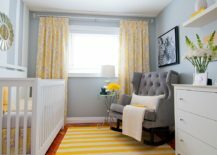 Much like the many shades of gray that can vary between the bold and the understated, yellow also boasts a wide spectrum of hues that can be easily used to craft the backdrop of a warm, inviting nursery. 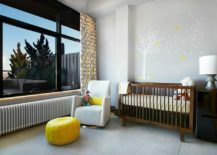 Those wanting to use yellow as the dominant hue in the nursery should carefully consider the lighting in the room, its size and the style they wish to achieve before committing to it. 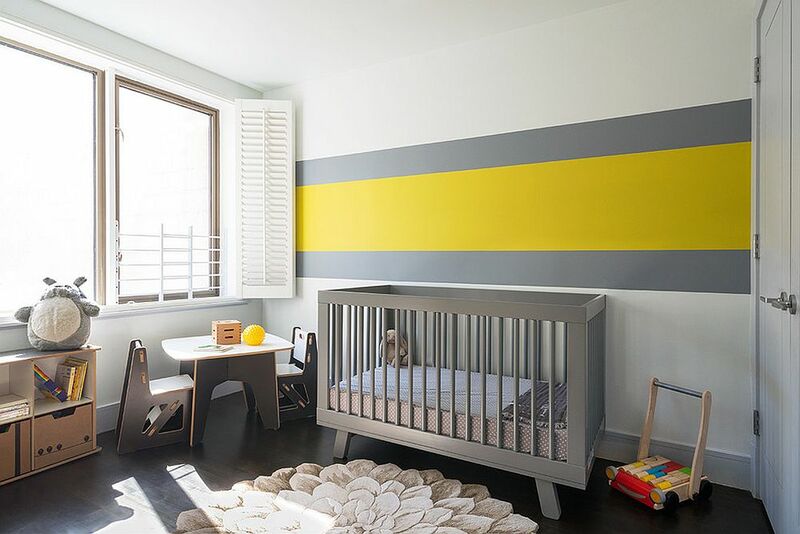 Too much yellow can seem gaudy, but shades such as light yellow, Crayola, cream and mellow yellow are perfect for a modern nursery with a comforting and radiant backdrop. 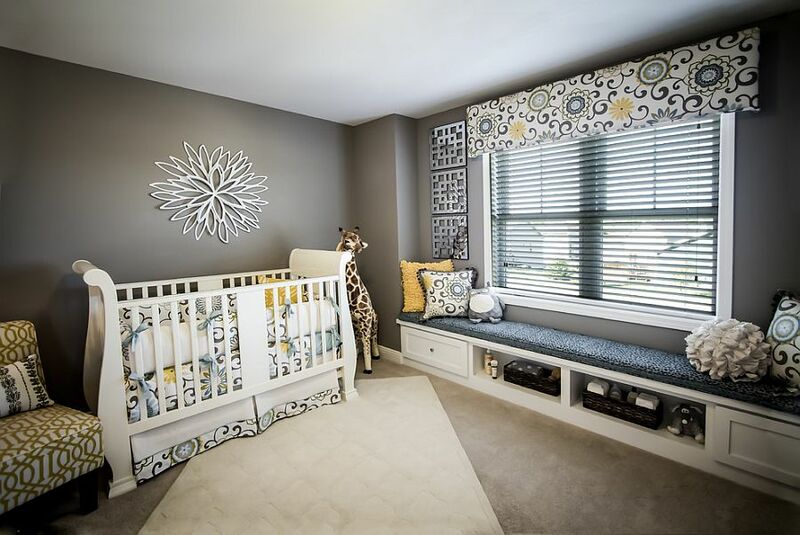 Use gray in these rooms to anchor the space and provide visual balance. 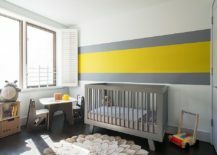 Not interested in using yellow extensively in the nursery? 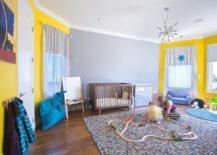 That is barely a problem, as there are plenty of other ways that you can bring yellow to the room of your little darling. 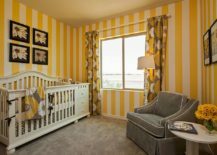 This is where you turn to gray and use it as the primary color of the room, while yellow plays a striking supporting cast in the form of fabulous rugs and energetic curtains. 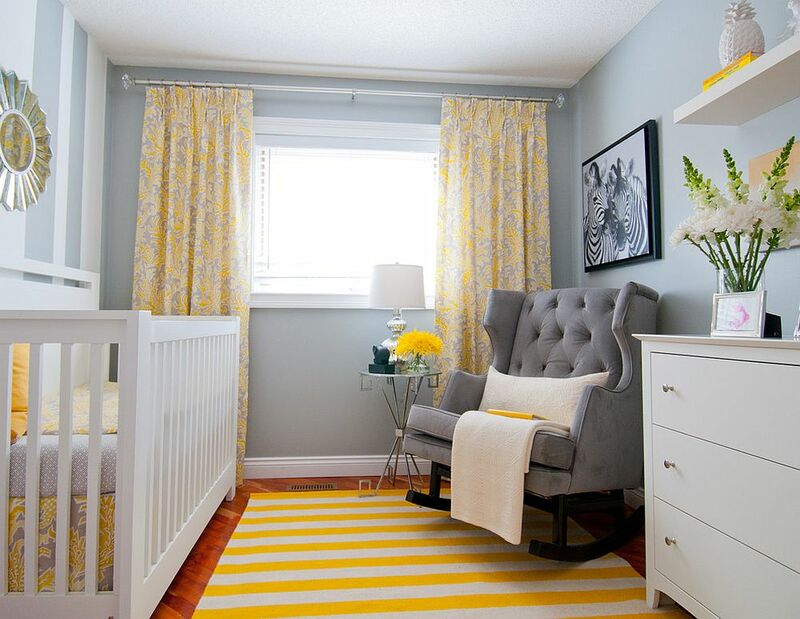 Drapes are arguably the easiest way of adding yellow to the gray nursery without disturbing it too much, and you can always opt for new curtains as soon as your little one (or maybe it is you) is bored with yellow! 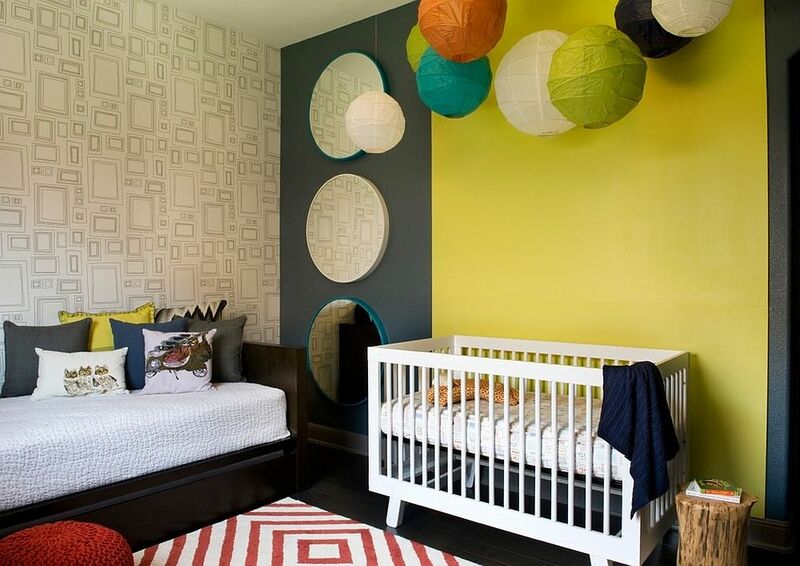 Do not discount the charm and allure of yellow, even if it only makes a cameo appearance in the nursery. 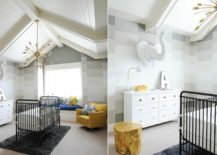 In fact, with gray and its many shades shaping the walls, floor and ceiling, yellow accents seem even more prominent and impressive. 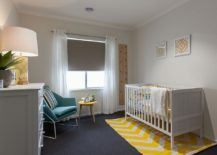 A lovely table lamp with a golden lamp shade, a small box on the changing table clad in bright yellow, a delightful Moroccan pouf in glittering mango yellow or even just an accent pillow and throw in this beaming hue; the tiniest infusion of yellow will instantly grab the attention of your little one. 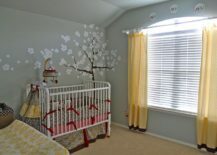 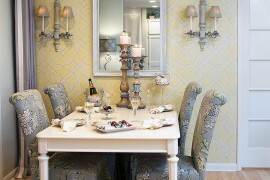 Just remember, though, that the more neutral a room, the greater the visual impact of these smart additions. 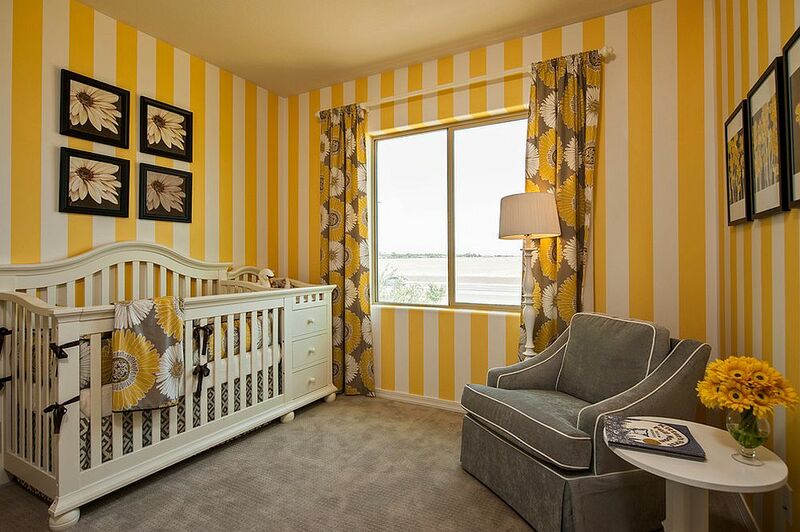 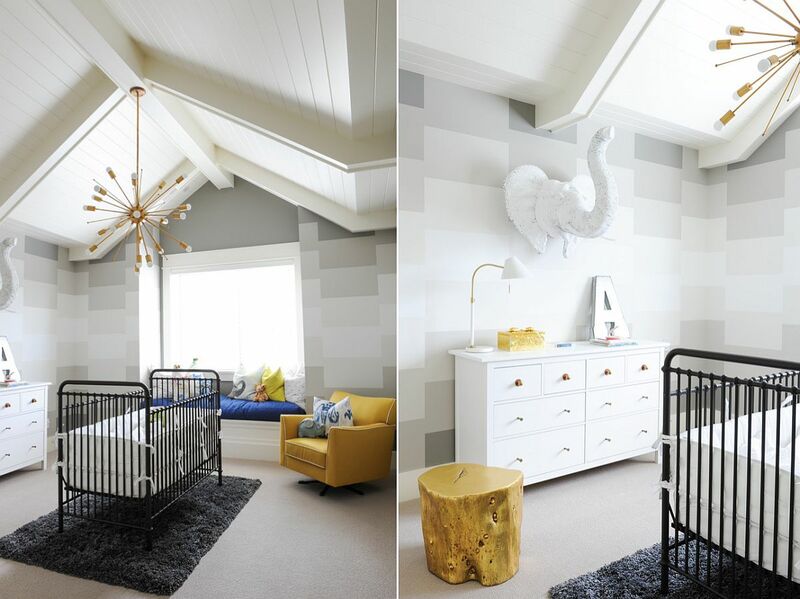 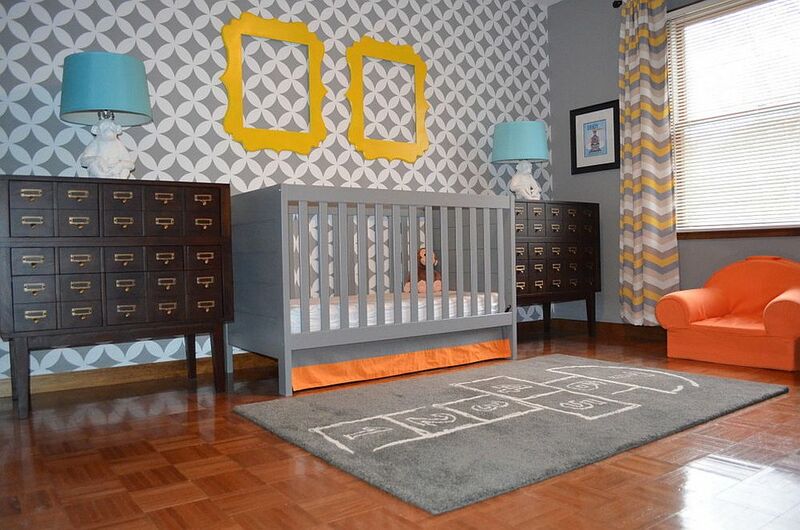 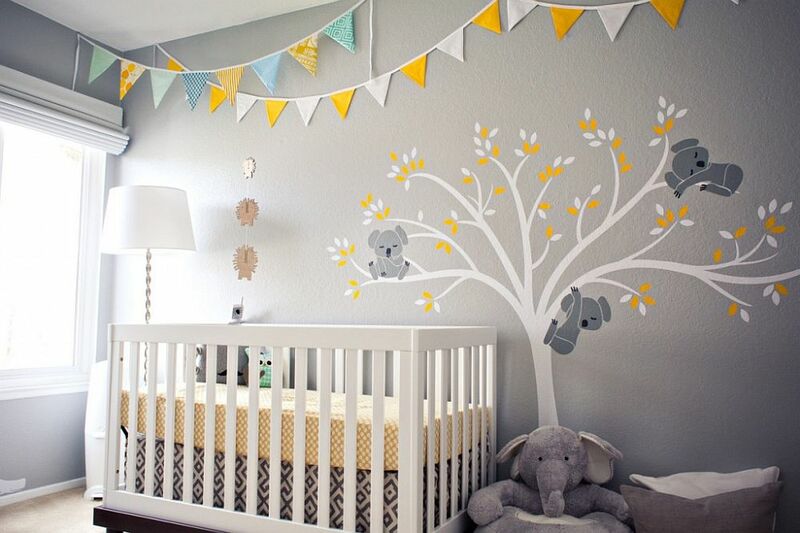 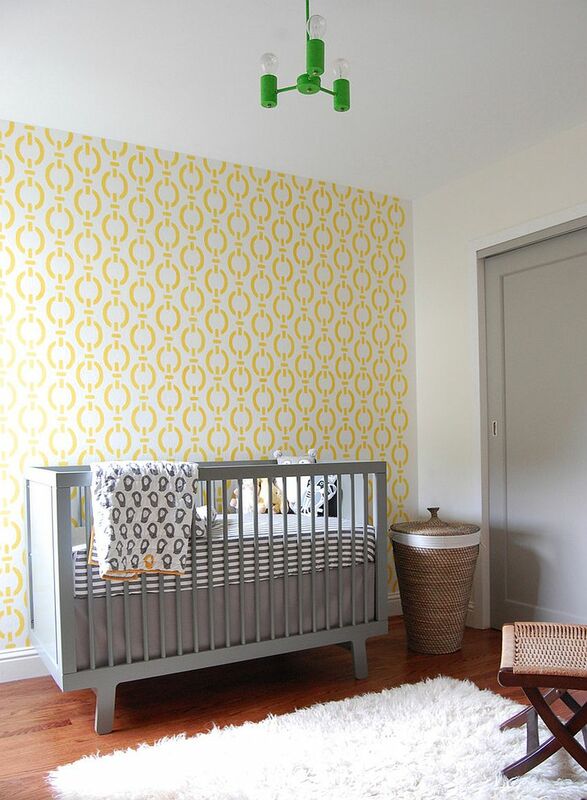 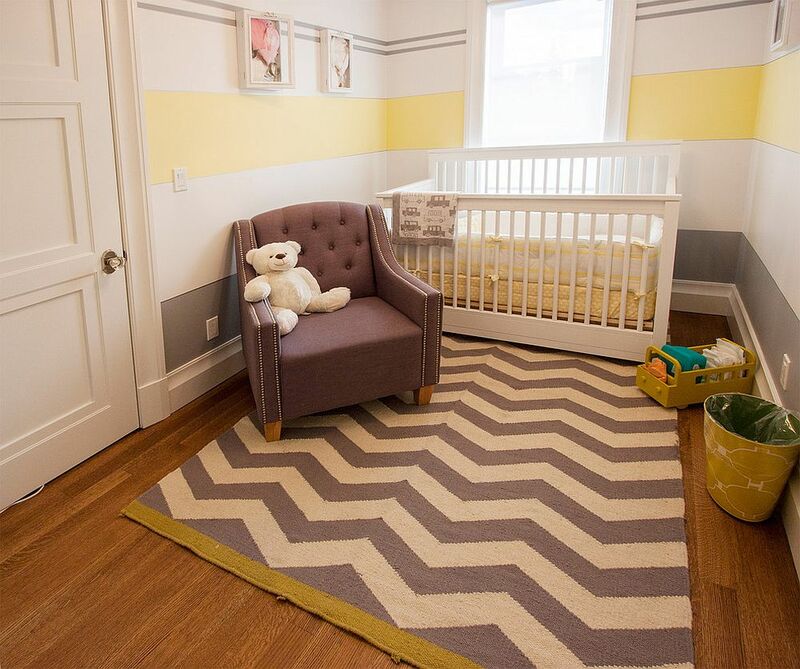 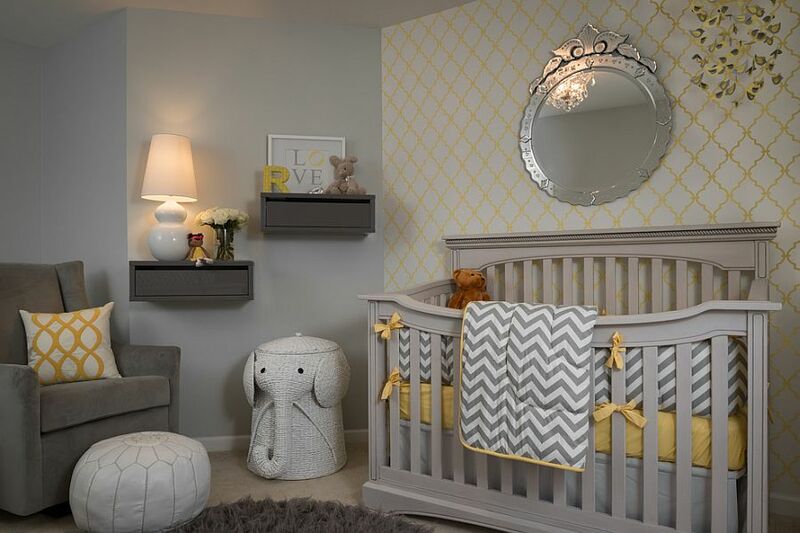 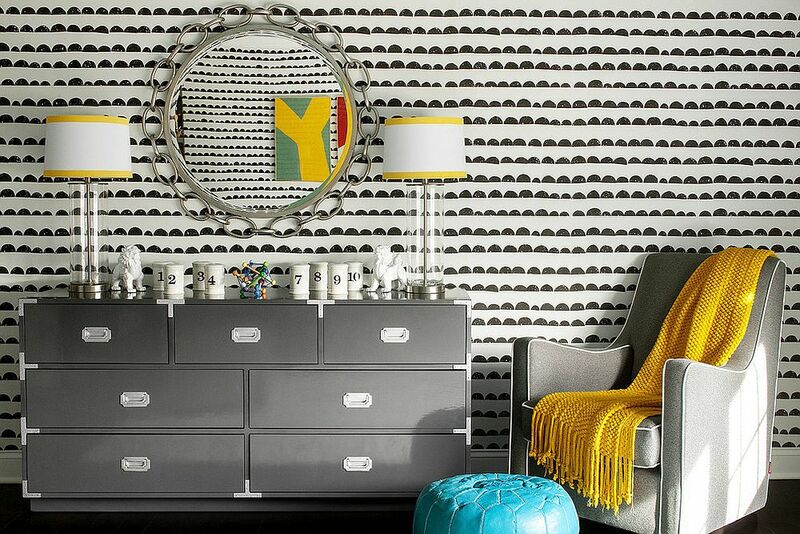 A nursery in yellow and gray is surely not just all about color and class! 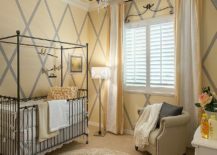 There is plenty of scope to add attractive motifs and trendy patterns here, and one can start off simple with a striped accent wall or a rug carrying a chevron pattern. 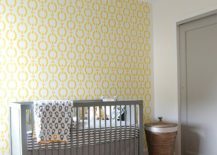 Wallpaper with a geometric pattern and custom wall decals that range from the outlandish to the exquisite take this lovely pattern to a whole new level. 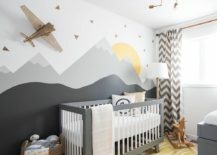 It is also best to add additional layers of color that go along well with gray and yellow, as research suggests that nurseries overloaded with neutral, muted hues can have a negative effect on kids. 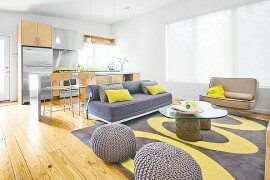 When it comes to finding the right balance between excitement and rest, yellow and gray come up trumps. 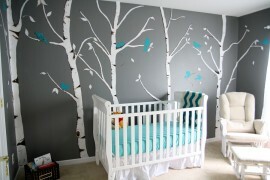 This is probably the single biggest reason for why you should try them out in the nursery!